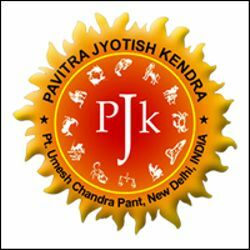 Preparation of horoscope chart at PavitraJyotish is based on deep analysis of your birth details. It is done meticulously, thus leaving no room for wrongful presentation of the details of your Janampatri. With the Janampatrika, information about your birth chart, planetary position, aspects of planet on a House and planetary movements will be at your disposal. Knowing dasha periods through Janam Kundali prepared by our astrology will come handy to ease out your situations positively. In the printed horoscope making, benefits include knowledge about adverse time in advance so that you can face them ahead of the time. Get the insight about achieving higher growth in your life, plan out activities and rise to the occasion positively. • Divisional charts for different aspects of life. • Aspects of Planets on a house and planets if any positioned in that house. • You have enough time to plan your activities in coming times. • You know about highs and lows in your life. • There is enough time to prepare for facing adverse time. • How to do things for achieving higher growth in your pursuit. • Plan things well and also your finances for future needs. • Now you can visit expert and experienced Astrologer to guide you and plan things to push ahead your prospects.